The lack of adequate plans in Arab localities with appropriate zoning and building provisions for housing have led to a chronic shortage of housing and severe overcrowding. Inadequate plans have also led to an increase in unauthorized building since in the absence of adequate plans residents cannot obtain building permits. Thus residents are subject to demolition orders and high fines. Arab localities also suffer from lack of land for natural growth as well as inadequate industrial and employment zones and . They further suffer from poor infrastructure as well as poor educational, health and social services. Together with residents of Qalansawe (pop. 19,000), Bimkom filed a detailed planning objection and expert anthropological opinion against the outline plan for the town because it leaves many existing buildings outside its boundaries, has limited development area, and land ownership structure is ignored. The objection also includes recommendations for improving the situation of housing, employment areas, public services and infrastructure. 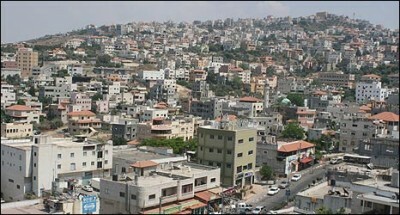 Over a year has passed since the objections of residents to the outline plan for Qalansawe were filed. The law requires objections to be dealt with within 6 months of the closing of the public review of the plan. Nonetheless, nothing has been done in this case, and it seems that the District Planning and Building Committee was unprepared for the quantity (over 1500) and level of detail of the objections, and has therefore not yet decided how to handle them.